Continuity mistake: 9-4 "Man on Fire": McGarrett's blackboard already lists plutonium as the poison source before Dr. Ormsbee enters to inform him that plutonium was the poison source. Plot hole: 8-22 "Love Thy Neighbor, Take His Wife": The police cars speed to Tanaka's house with their sirens screaming, warning him in plenty of time to allow him to escape. Apparently these guys never heard of the law-enforcement standard "silent approach." Plot hole: The first murder victim is so dim-witted that it strains the viewer's credulity. Her creepy blind date, who plans to kill her, is wearing surgical gloves already - but somehow she never notices. 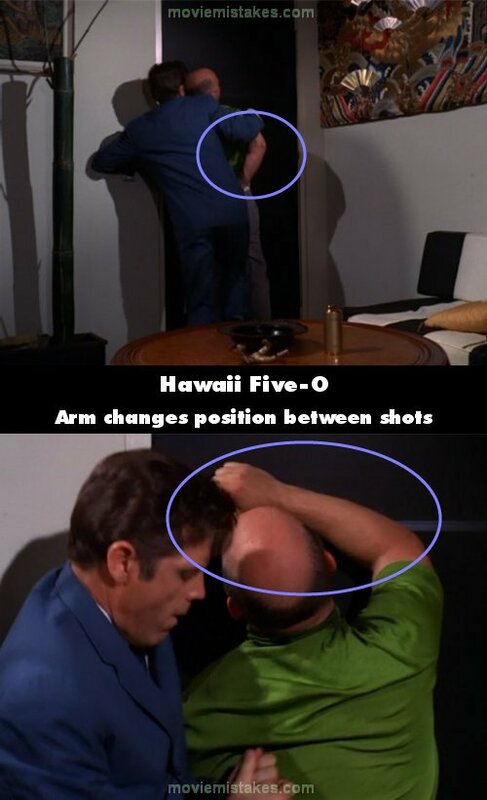 Factual error: During the shoot-out at the end, McGarrett's 6-chamber .38 caliber police special fires 8 rounds without being reloaded. Visible crew/equipment: 8-16 "Legacy of Terror": As an HPD cop escorts the old man out of McGarrett's office, he trips over a camera cable and nearly falls. When the actor recovers his footing and finishes his exit, the cast regulars simply pretend it never happened and go on with the scene. 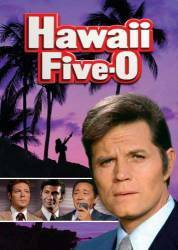 Factual error: Danno, who's posing as a Marine, has hair that's far too long to be permitted in the Corps. In fact, all of the Marines in this episode have non-regulation (too long) haircuts. 'T'was the same then as it is now: US Marines are given "buzz jobs," and hair longer than an inch is not allowed. Visible crew/equipment: Aboard the smaller boat that comes out to pick up McGarrett from the tug, you can plainly see a cameraman shouldering his camera and standing up to film the tug boat.